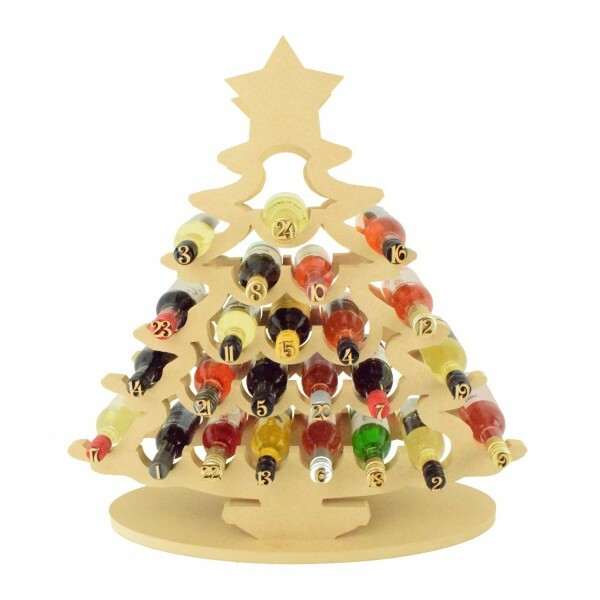 Large Shape with a cut out rack space to hold 24 185ml Bottles, we have used miniature wine bottles to countdown the days until Christmas. Which are approx 50mm wide and all taller than 150mm height, so any bottles within these measurements should fit. Separate numbers 1-24 for you to glue onto the draws. 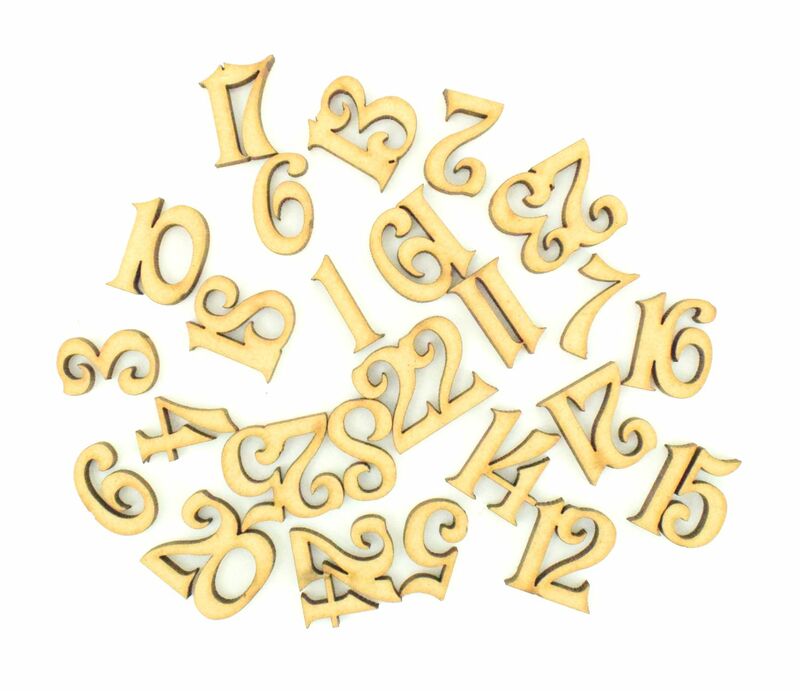 The double numbers such as '24' will be joined as one. Approx 20mm Height. The two tree slot into a large stand to become freestanding. Please note both trees are not symmetrical, one is slightly different to allow the bottles to slope like a wine rack. Please note as this is cut to order it will take longer to process than a standard item.